If you thought day 1 at the Winter Music Conference was epic, wait until you read about Day 2. It made my dreams come true! On Wednesday, I arrived to the conference at 11:45 a.m. so I could start my day off hearing about Sirius XM during the keynote speech of the day: Behind the Music at Sirius XM. The panel moderator was Tommie Sunshine and his panelists were Jonathan Geronimo, the Vice President of Music Programming for Electronic & Dance Formats, Rida Naser, Sirius XM Program Director and On-Air Host, Mallory Lynn Stergakis, Sirius XM Program Director and On-Air Host and Andres Nieto who is the program director for Diplo Revolution and Sirius XM Chill. They began their discussion by talking about the genres of music that have cycled through the top spot in the past five years. 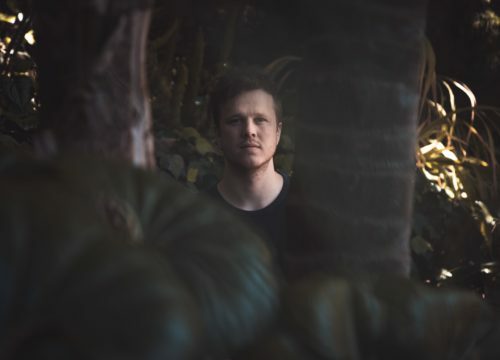 Five years ago, tropical house was all the ravers favorite genre but today, since Fisher’s release of “Losing It”, house music is what everyone is listening to. For the artists on this panel, the release of Fisher’s biggest hit yet brought back something that they were missing. The shift happened when Chris Lake and Fisher closed EDC LV last year. HOUSE IS BACK! They also spoke about where the EDM Industry is today, mentioning that we are in a special moment in music. 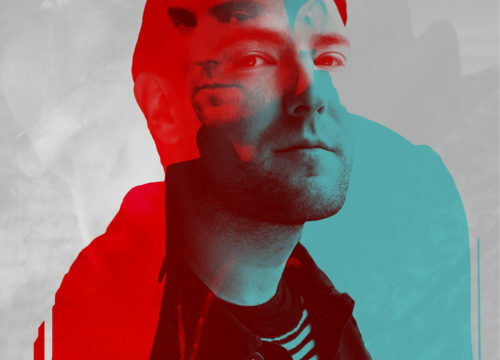 Similar to the 90s, there is a feeling of “no boundaries” and artists from different genres blurring the lines between house, bass and techno music, for example. 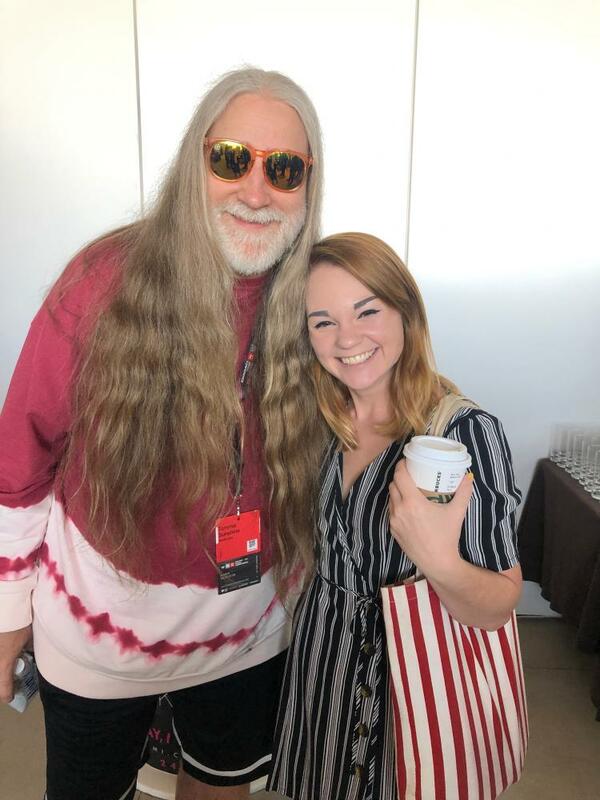 After the panel, I was lucky enough to share a few seconds with Tommie Sunshine. And I have the picture to prove it! At 1 p.m. 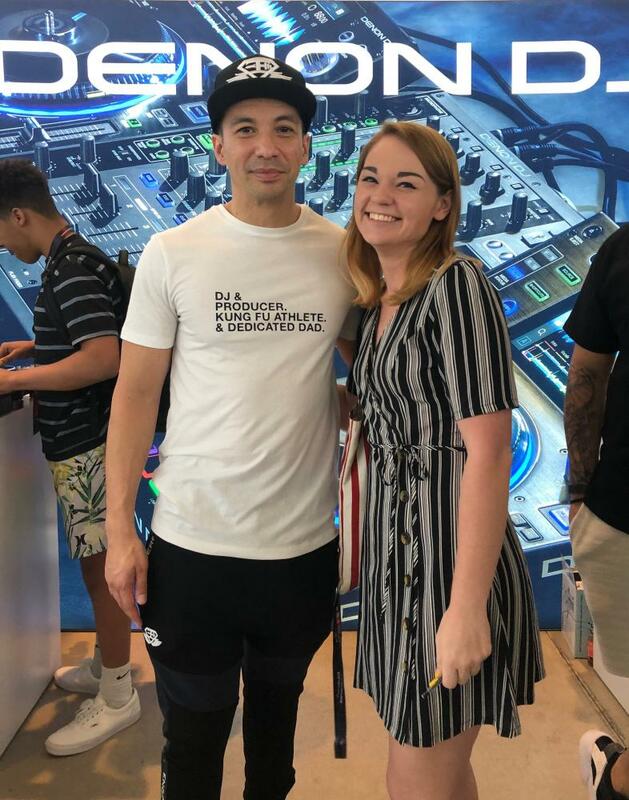 I went to another panel with the legendary quick-transition DJ Laidback Luke, who happened to be the first DJ set that I had ever seen at a festival back in 2015 at EDC New York. I was honored to be able to hear him talk about his experience with the craft. He spoke about The Power of Creative DJ’ing. What I loved most about what he said was that he mixes all of his sets live because he reads the crowd and lets them steer him in the right direction. He said that his secret to getting in the same mind-space as the crowd is dancing alongside them. He brings high energy and quick-mixes for his fans but he mostly does it because he feels like he’s not doing his job if he isn’t busy. He threw shade at some of the newer artists for spending too much time in front of the deck instead of behind it, where be believes a DJ belongs. I love that he stuck to his roots and stood behind the people that inspired him like Jeff Clarke and Big Boy Bill, who spend 95% of their time during a set behind the DJ booth. I was excited to hear him talk about how he changes his sets based on which country he is in. He explained that there is an upside down psychology and that people from Amsterdam, for example, love hearing Spanish beats. You probably wouldn’t assume that but artists like Laidback Luke feel the energy of a crowd and change up their live set to fit with the crowds demands. When Laidback Luke was asked about creating his sound, he explained that it’s not about the hits you play it’s more about the songs in between the hits that blow people away. There is nothing more gratifying than having someone ask “what was that song?” when it’s not a remix of a hit, according to Laidback Luke. After his panel, I was lucky enough to meet him and explain to him that he was an artist that inspired me to look deeper into the industry with his set at EDC New York in 2015. After saying that to him, I noticed him smile, which completely made my day! At 2 p.m. I listened to a panel called A State of Trance with world-renowned DJ Armin Van Buuren. Armin is the founder of Armada Music and his radio show called A State of Trance. He loves his radio show more than anything else because he feels like it is a direct way to connect with his fans. A fan once told him that he should celebrate each milestone episode (50, 100, 150, 200, etc) with a radio event and he was inspired. So, for each milestone episode he throws large trance events that have had over 14,000 attendees. His next event, in Oakland, CA will be able to hold 25,000 people on June 29th. One thing that Armin said has been stuck in my head all day, “If you believe in something, hold onto it”. After speaking about his successes he noted that right now he is focused on the next generation of trance artists. He wants to use his position to help the young and upcoming artists get on stage. This year at Ultra Music Festival, for the 9th straight year, he has his State of Trance stage set up in hopes of bringing some unknown artists into the spotlight. 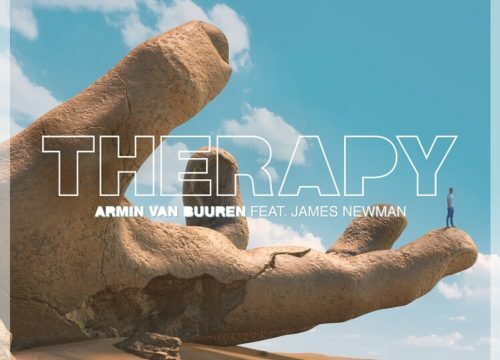 If you’re a fan of Armin Van Buuren and trance music, be on the lookout for his next album, coming out in October of 2019. At 3 p.m. I went to a panel called “What’s in Your Bag?” where DJs Cray, Lost Frequencies and Riggi & Piros revealed everything that they keep in their travel bags. 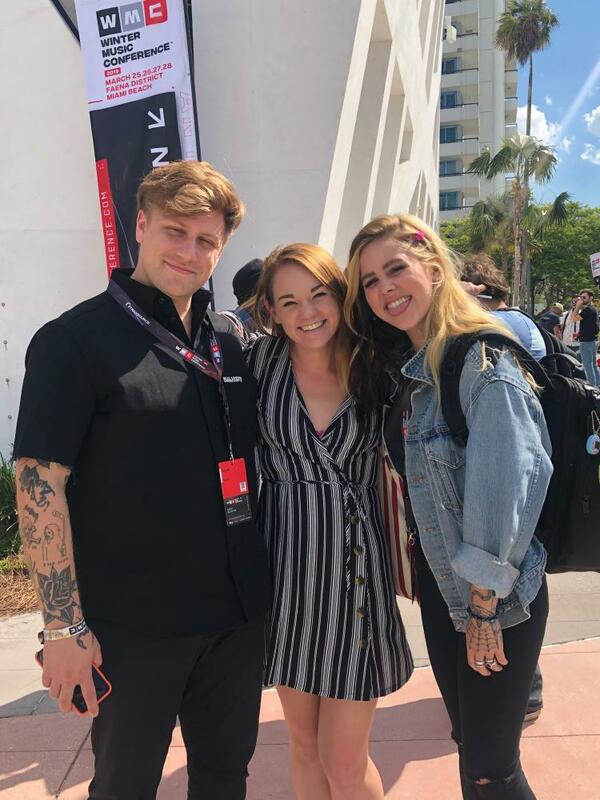 I was really excited to meet Cray after the panel because I follow both her and her boyfriend, Kayzo, on Instagram and they seem like really genuine people. 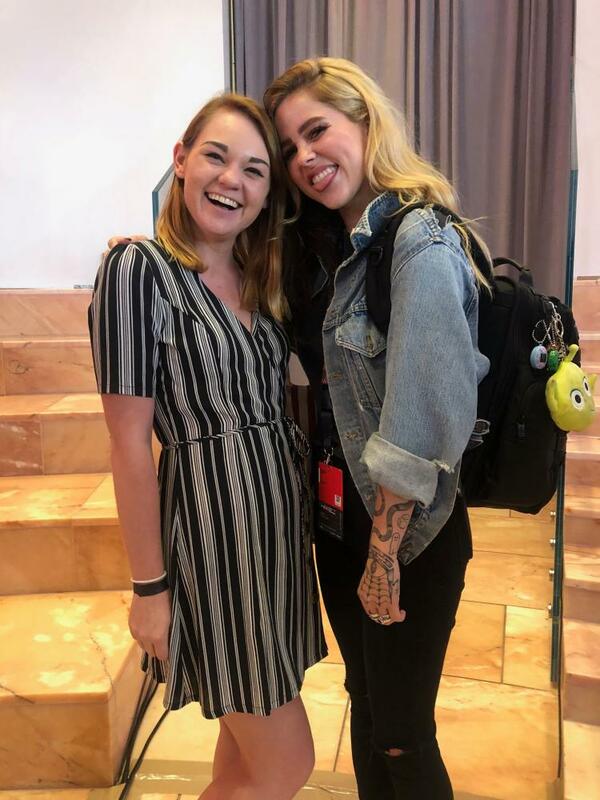 When the panel ended, after seeing all of the crazy knick-knacks that were hidden inside the DJ’s bags, I ran right up to Cray and introduced myself and grabbed a picture with her! To my delight, she was exactly who I pegged her to be: a genuine, kind-hearted person. At 4 p.m., I stepped outside to warm up from the frigid temperatures the air-conditioning created inside Faena Forum created. After collecting my thoughts and trying towipe the goofy smile off my face I stood up togo back inside for another panel. From the corner of my eye I see Cray walking out of the forum with her boyfriend Kayzo! My heart sank and skipped a beat all at the same time. As a fan-girl, this was MY MOMENT. I couldn’t let the opportunity pass by without stopping for at least a hello. And because Kayzo is my boyfriend’s favorite DJ, I knew he would never let me live it down if I didn’t jump at the opportunity to introduce myself to him. For the next 40 minutes, I was beaming and other attendees were taking notice. I had multiple people come up to me and ask who I was because I just looked so happy to be there. It was truly inspiring knowing that a genuine smile can change the way people look at you. At 5pm, the panel I had been waiting all day for began. Bring the Bass with panelists NGHTMRE, Slander, Kayzo, Ben Hogan and Whipped Cream was about to start with me sitting front and center ready to hear every little detail they were about to share. The panel began with them explaining what EDM meant to them, as artists. Ben Hogan explained that it is both his greatest love and his moneymaker. Caroline, or Whipped Cream, explained that music is all about connecting people to something bigger than their everyday lives. Hayden, or Kayzo, explained that fans are just looking for songs that strike a cord and make them feel something. He hopes to make his fans as though they are the biggest reason why he is up on stage every night with each show he puts on. 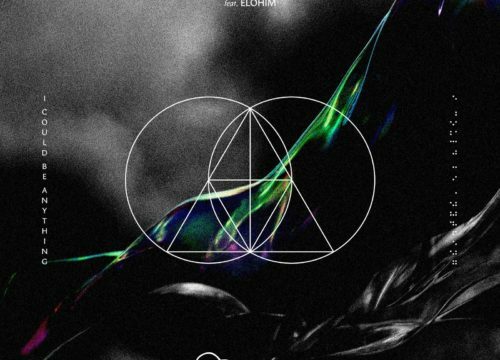 Tyler, better known as NGHTMRE explained that though he is focusing on mixing hip hop right now, he also wants to set himself apart from other artists by using heavy bass in his music. Ben Hogan spoke about the importance of building a fan base, and shared some tips and tricks for upcoming artists in the room. 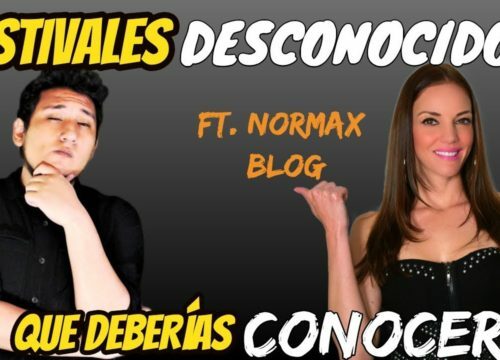 He said that making remixes of big hits, having a steady flow of content and using click-bait is important during the beginning stages of a DJ’s career. Hayden said something that really resonated with me when the moderator asked if any of the artists on stage made music based on how their fans would react. He said that he makes music that resonates with him and called himself the “black sheep” of the panel when explaining why. He said that if you make music that is genuine to you and your brand, success will follow. Because he uses a lot of rock sounds in his music, he finds a lot fo his fans tell him that his music brings them back to the days when they would rock out to old-school rock during their moody teen years. His goal is now to bring that throwback feeling to the forefront of his fans minds. I was really excited to hear that bass DJ’s tour more frequently than any other genre’s artists. Ben Hogan spoke about how touring is 80% of what they do and the other 20% is merch, marketing and making music in the studio. 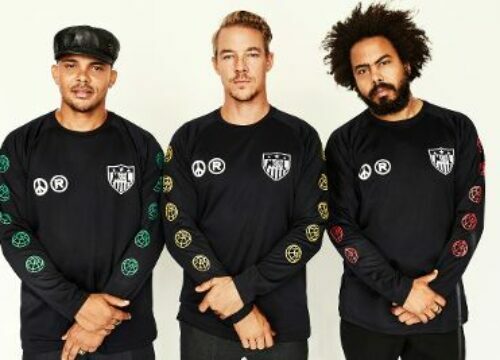 All of the artists agreed that having the right team behind them is key to their success. As the panel ended, I spoke with a few of the artists and was really excited that I had an opportunity to introduce myself. 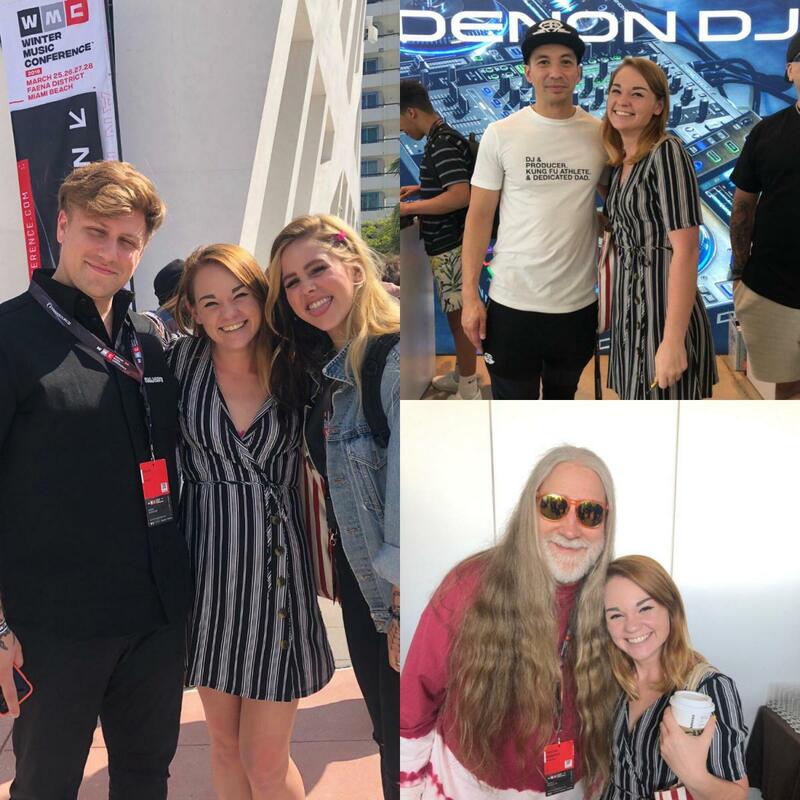 Kayzo had the largest group of fans surrounding him after the panel which I assume is because of his brilliance during the discussion. 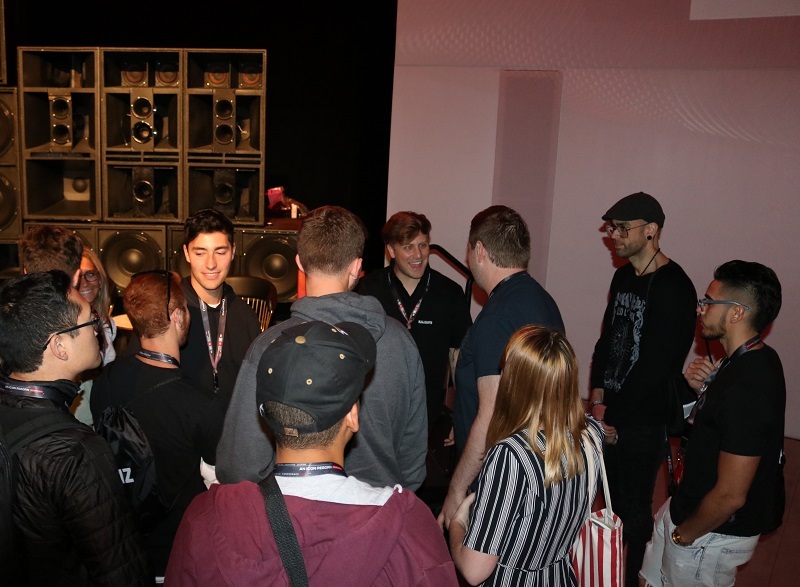 NGHTMRE and Whipped Cream left immediately after the panel, leaving no time for their fans and admirers to say hello. Major disappointment. 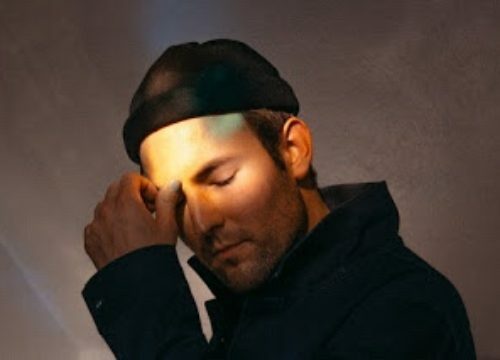 It was ironic because moments before Ben Hogan expressed the importance of building connections between the artists, promoters and fans. I am so thankful for the experiences I had on day 2 of Winter Music Conference. March 27th will be a day that is ingrained in my memory forever. Stay tuned for more excitement on day 3! Hint: I was acknowledged in front of the entire room during the keynote speaker’s panel! And return to 305area for more Miami Music Week content because we are your free and local guide to Miami! Images courtesy of author and blog originally posted on 305area.com.